The 2015 MotoGP™ World Championship title fight between Valentino Rossi and Jorge Lorenzo is set for an epic conclusion at the Valencia GP. In the 67-year history of the World Championships there have only been 16 previous occasions where the premier-class title has been decided at the final round of the season. In 2015, after one of the most exciting, tense and dramatic seasons ever, Movistar Yamaha teammates and title rivals Rossi (312pts) and Lorenzo (305pts) head to the Gran Premio Motul de la Comunitat Valenciana separated by just seven points. The seven-point advantage Rossi holds is the smallest margin between the top two riders when arriving at the final round of the season since 1992. The Comunitat Valenciana - Ricardo Tormo circuit has played host to an end of season title showdown twice in the past, ever since it became the last round of the season in 2002. In 2006 when Rossi lost out to Nicky Hayden and in 2013 when Marc Marquez lifted the title in his rookie year after a season-long duel with Lorenzo. Surely though, as exciting as they were, not even those can quite match the drama and tension of what has been one of the greatest seasons in the history of the World Championship as it heads to its climax. Last time out the Malaysian GP saw Jorge Lorenzo cross the line in second, ahead of his rival Rossi in third, to reduce the Italian’s lead from 11 to just seven points with 25 up for grabs in Valencia. However, the nine-time World Champion Rossi received a three-point penalty from Race Direction for his part in the #SepangClash with Marc Marquez. When added to the point he was given for riding slowly on the racing in Qualifying at Misano, it means he will be forced to start from the back of the grid. In last year’s Valencia GP, the already crowned champion Marc Marquez, stormed to victory ahead of Rossi who had started from pole, with Dani Pedrosa completing the podium. Lorenzo was forced to retire after taking a gamble and pitting to switch to wets after a brief rain shower. The gamble backfired however, as the heavy rain never came and the Spaniard chewed through his tyres, ending his race prematurely. Rossi has competed at every Valencia GP since its introduction in 1999 and finished on the podium in eight out of 16 attempts, but has only tasted victory twice at the circuit, with the Italian taking back-to-back wins in 2003 and 2004. His second placed finish last year was his best result at the track since he achieved the same result in 2009. Lorenzo has stood on the top step of the podium at Valencia twice in the premier class in the last four races he has started at the track, but has also recorded two DNFs. His only other MotoGP™ podium at the track came when he finished third in the 2009 Valencia GP, but he was forced to miss the 2011 race due to injury. If Lorenzo were to lift the title he would become only the third rider to overturn a points deficit at the final round of the season, along with Wayne Rainey (1992) and Nicky Hayden (2006). If Lorenzo wins the race then Rossi needs to finish second to become world champion. If Lorenzo finishes second then Rossi needs to finish on the podium to become world champion. 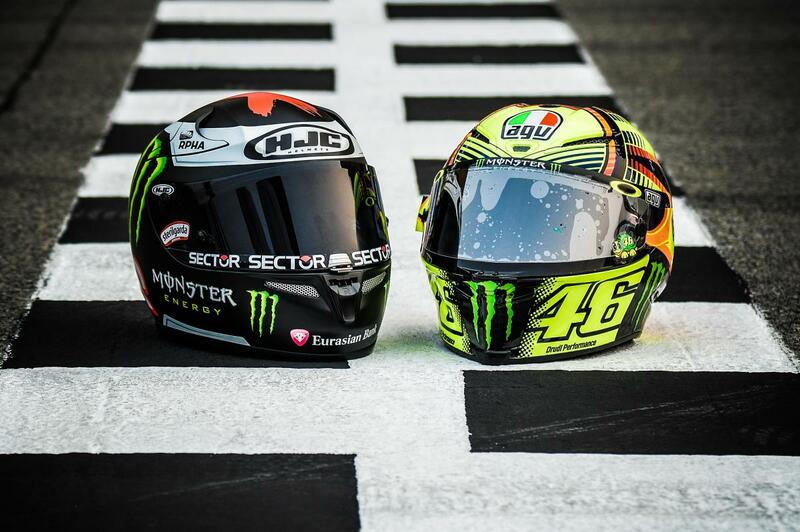 If Lorenzo finishes third then Rossi needs to finish sixth or better to become world champion. If Lorenzo finishes fourth then Rossi needs to finish ninth or better to become world champion. If Lorenzo finishes fifth to ninth then Rossi needs to finish no more than six places further back to become world champion. 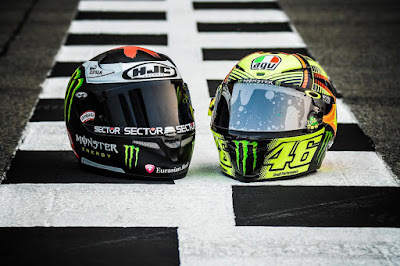 After 17 races, 418 laps and a total of 1988.8km covered, the 2015 MotoGP™ World Championship title fight between Rossi and Lorenzo all comes down to this. The Pre-Event Press Conference for the Gran Premio Motul de la Comunitat Valenciana kicks off at 17:00 local time on Thursday, with Rossi and Lorenzo set to hit the track for the first time on Friday at 9:55am for Free Practice 1. Rossi has competed at every Valencia GP since its introduction in 1999 and finished on the podium in eight out of 16 attempts, but has only tasted victory twice at the circuit, with the Italian taking back-to-back wins in 2003 and 2004.